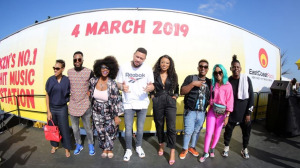 Three of South Africa’s biggest artists – AKA, DJ Zinhle and Distruction Boyz – performed live on a stage that was elevated up to the level of a billboard. The stunt was set up to showcase the improved playlist of East Coast Radio (ECR). "This was such a dope event to be a part of," says AKA. "I commend ECR for thinking outside the box and doing something different, bringing us to the people of Umlazi." "It was a really weird feeling performing, as a DJ, on a Monday morning, on the side of the road. 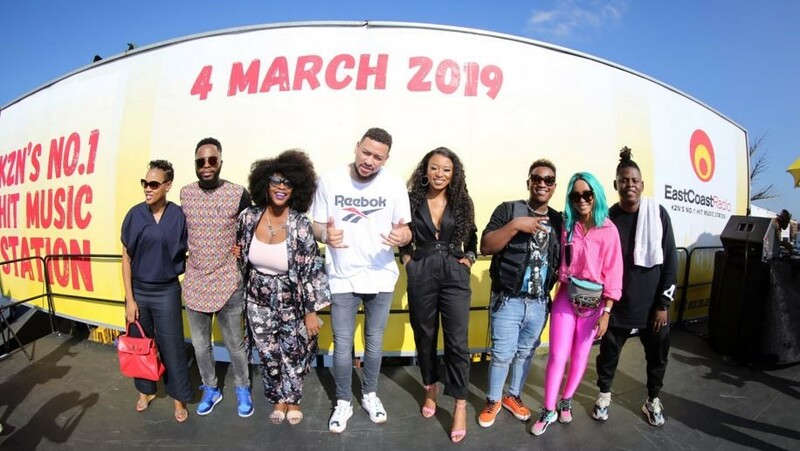 I’m really excited to be a part of this," adds DJ Zinhle. The event started at 06:30 and ended at around 08:00 and, according to the station, "left Umlazi and surroundings astounded and brought traffic to a standstill". The #ECRMusicTakeover trended at number three on all social media platforms. In attendance were well-known media personalities such as Dawn Thandeka King, TDK Macassette, Nay Maps and local media in their VIP marquees to witness the event. "This is so unexpected on a Monday morning. I literally saw the traffic as AKA was performing and decided to stop and watch. Thank you, ECR, for making my week after a long night of work," says local resident Ayanda Mdluli. In preparation for the day, ECR launched its 28-day #ECRMusicMakeOver on Monday, 4 February, where they gave listeners a chance to dictate the playlist by voting for songs they wanted to hear on the station. Listeners stood a chance to win their share of R200 000 in cash prizes. The station also revealed its new playlist, voted for by their listeners, which will now be playing non-stop for 24 hours. "I feel extremely proud, as it’s been an incredible morning here in Umlazi. ECR has really pulled out all the stops for the #ECRMusicTakeOver showcasing to Umlazi, the artists and music that we will play more of on our new playlist voted for by KwaZulu-Natal," says ECR’s station general manager, Boni Mchunu. Head over to ECR’s Facebook, Twitter, Instagram and YouTube pages to catch up on how it all unfolded. ECR is also available on multiple streaming channels such as The ECR app, ecr.co.za, iono.fm, itunes, Alexa, Deezer, TuneIn, Radiosa.org and more.